Good questions are a powerful tool. And when you’re in a position of leadership, it is especially important to ask the right questions! Organizational leaders have a huge responsibility to provide a shared vision for success that they influence their team towards attaining. 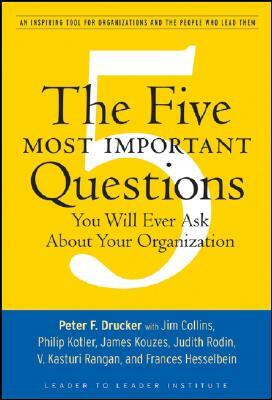 Peter Drucker’s Book, The Five Most Important Questions You Will Ever Ask About your Organization guides leaders through the process of asking the right questions to succeed. As Francis Hesselbein observes in the Forward to the book, “Simple questions can be profound and answering them requires us to make stark and honest – and sometimes painful – self-assessments.” The more direct yet open a question you ask, the more useful the answer will be. As long as it is a sincere answer. 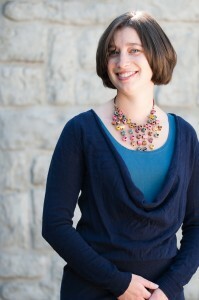 Ultimately, Drucker’s recommending “a method for assessing what you are doing, why you are doing it, and what you must do to improve your organization’s performance.” The entire process, from introspection and self-assessment to improvement and actualization, should be continuous and integrated throughout your organization. To lead a successful organization it is best to engage your team in this process. After all, Peter Drucker’s philosophy was developed around the belief that an organization’s employees are their most valuable asset. He showed us that effective management of employees directly contributes to the ultimate success of any organization. Engaging your team in the process builds buy-in and helps to ensure a shared understanding of your direction and priorities. In addition, your team possesses valuable knowledge that helps to inform your answers and strengthens your organization as a whole. In order to glean the most out of this process, remember that you need to have an honest conversation. That means you must embrace vulnerability with your team, which is a challenge for some bosses. As any good interviewer knows, one question often begets other questions. That is much the way Drucker’s book is organized. The “Five Most Important Questions” each represent an ultimate question that is answered by asking several other corollary questions. So before you rush off to contemplate Drucker’s “Five Most Important Questions” remember that the answers may lie deeper than the initial question allows you to dig! We will be discussing The Five Most Important Questions You Will Ever Ask About your Organization at the June 7th EntrepreNerds meeting. For more information or to sign up visit us online www.Meetup.com/EntrepreNerds.